Heart of House Somerton 12 Piece Porcelain Dinner Set - Floral. 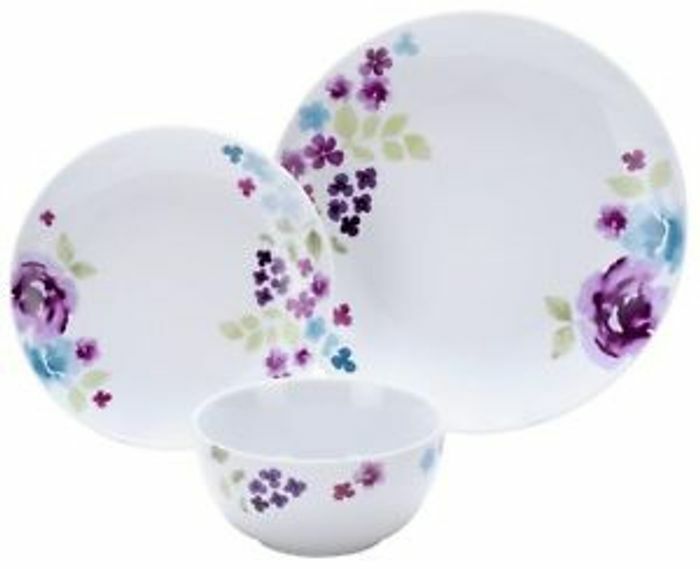 A beautiful painted floral dinner set of soft purple and blue tones. Made from super white porcelain, add a touch of class to your dining table. This set also is dishwasher and microwave safe. 4 dinner plates, 4 side plates, 4 bowls . This is quite a nice set. Thank you very much for sharing. That's a great price for a dinner set. Thank you so much for sharing, will be definitely looking into buying this. Such a pretty design And quite reasonably priced .Thanks for sharing.